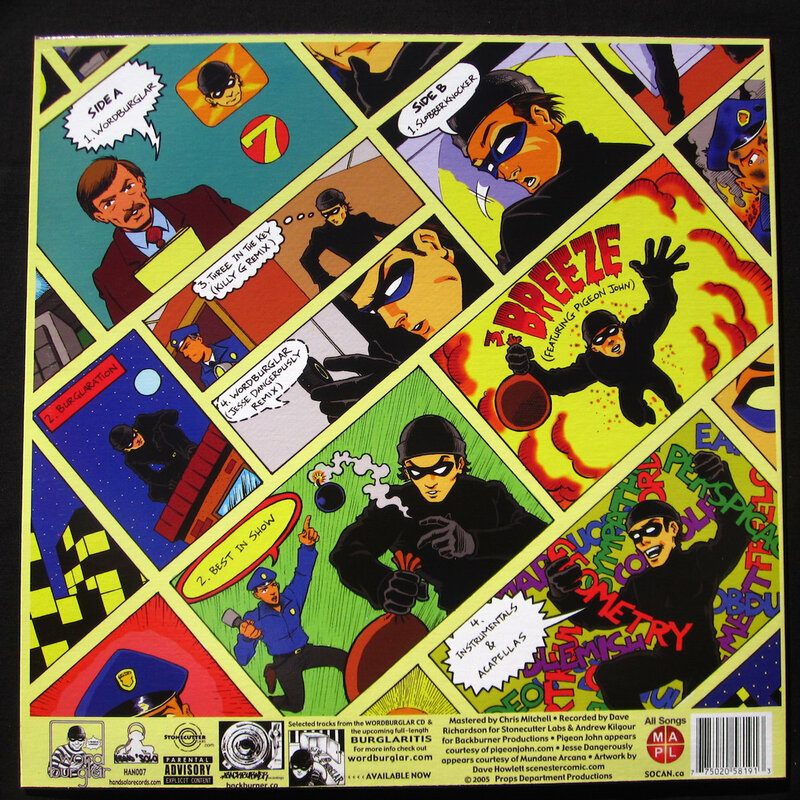 Classic Wordburglar on wax! 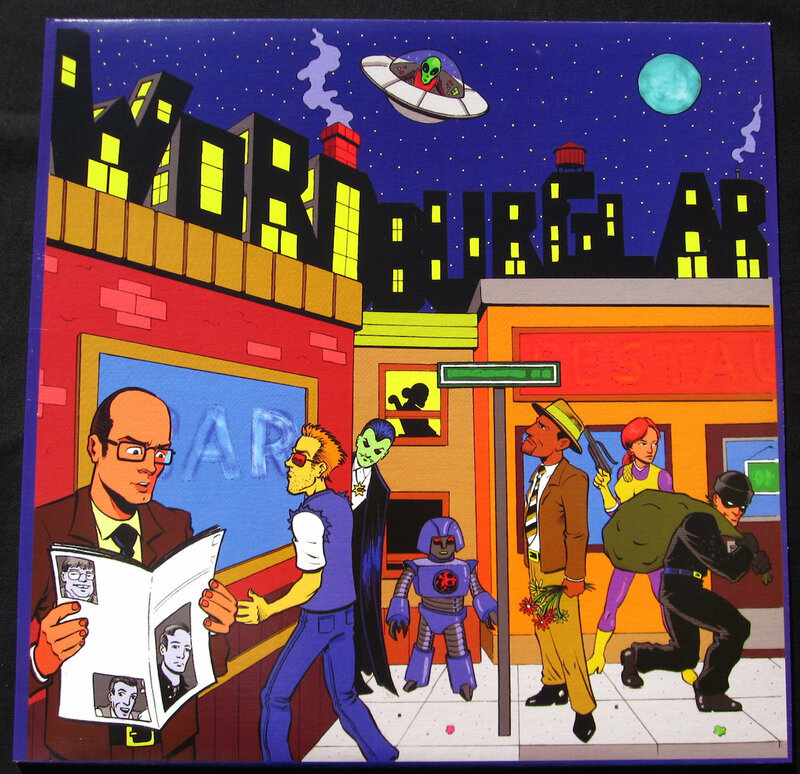 This slice of 12" vinyl features "Wordburglar" and "Burglaration" from his out-of-print self-titled debut album and "Slobberknocker" and Breeze" (featuring Pigeon John) from follow-up Burglaritis, all four tracks available here to sample. 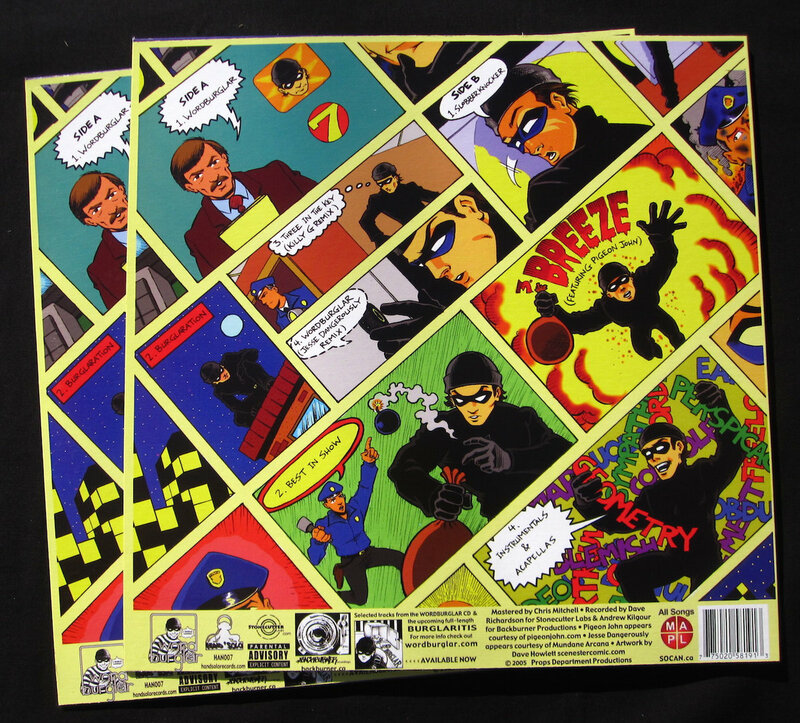 The vinyl EP also contains additional instrumentals, an acapella, and vinyl-only remixes and exclusives. 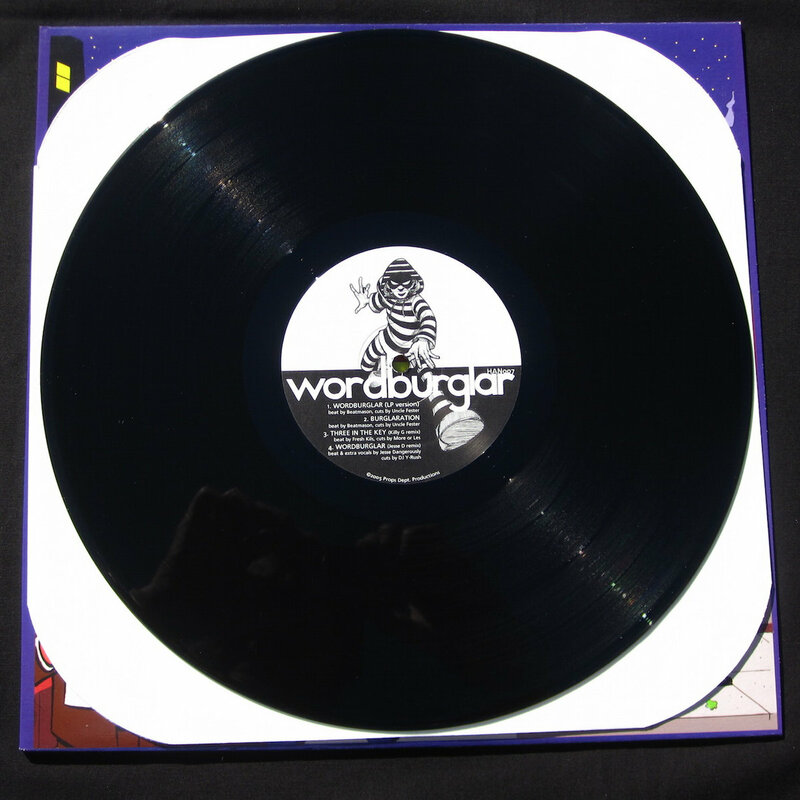 The purchase of Wordburglar's vinyl EP comes with an immediate download of the four album tracks displayed here, and as a bonus also receive the instrumental and acapella for "Wordburglar" and instrumental for "Burglaration". The vinyl-only tracks remains just that, on vinyl only. 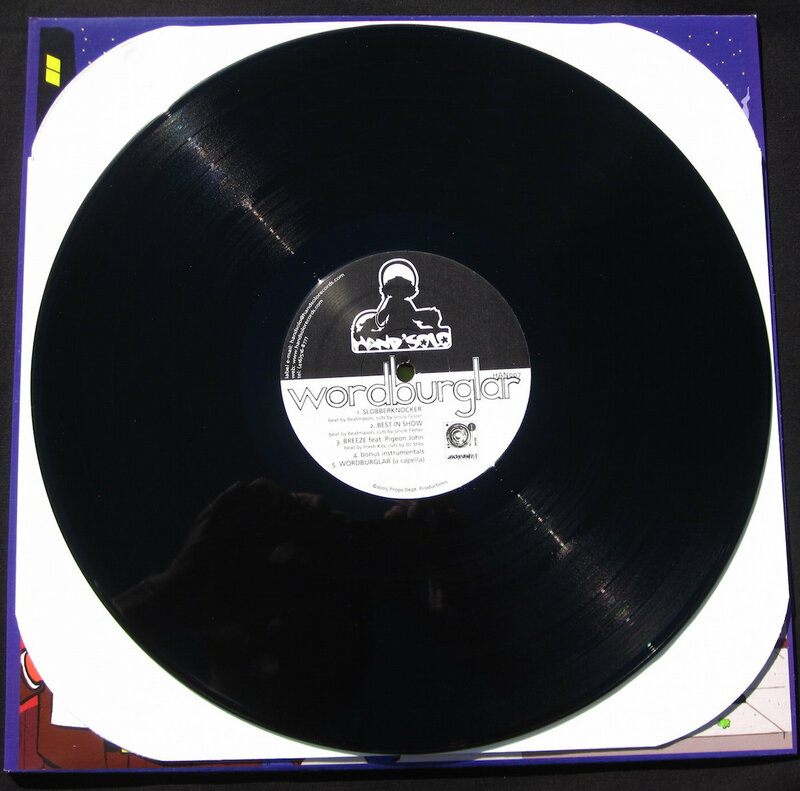 For DJs who like to do turntable trickery with two slices of wax, get doubles of Wordburglar's Classic vinyl EP! 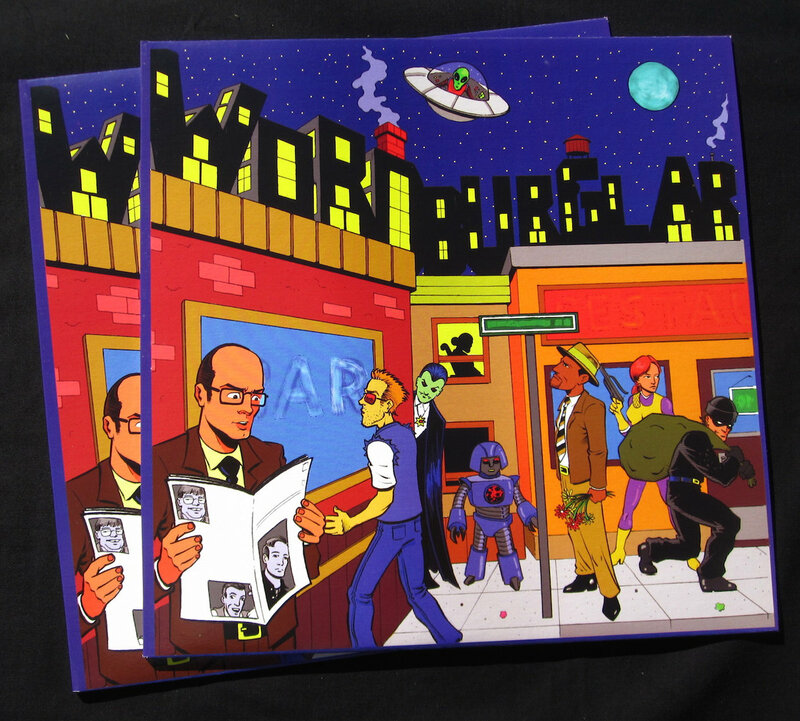 Only $8 for the second copy, and no additional mailing costs! 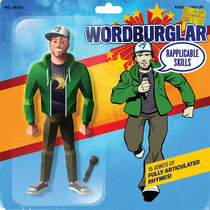 Written and performed by Wordburglar. Guest appearances from Pigeon John, Thug Love and Dandruff. Production by Beatmason and Fresh Kils. Remixes by Fresh Kils and Jesse Dangerously. Cuts by Uncle Fester, More Or Les, Y-Rush and DJ Stibs. 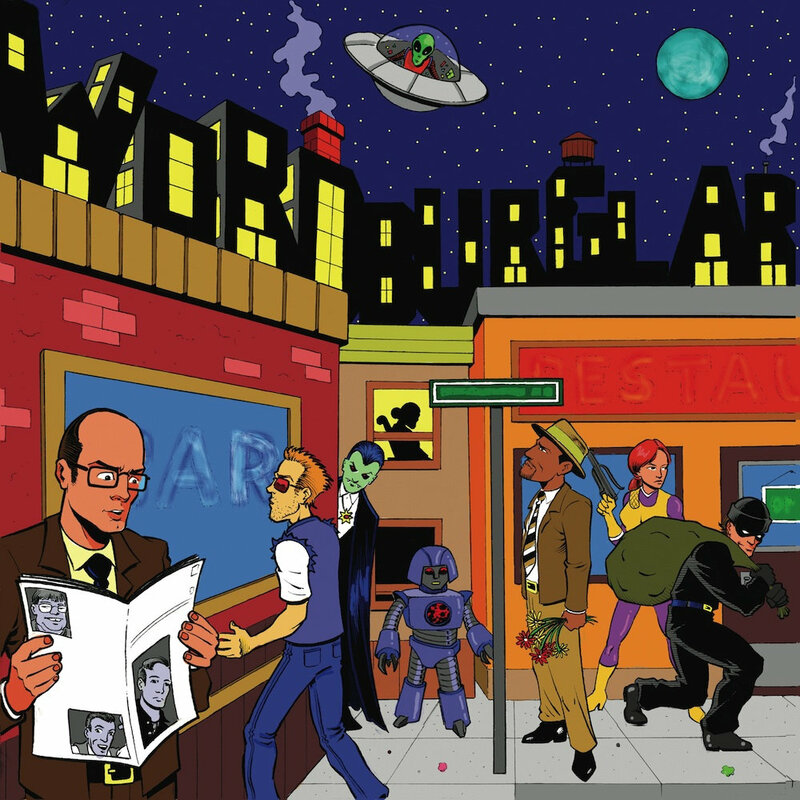 Album artwork by Dave Howlett.